Welcome to Weekend Herb Blogging #425. I am happy to present an intriguing assortment of recipes that either feature novel ingredients or novel uses of ingredients. All will peek your interest and prompt your appetites. Thanks to Haalo of Cook Almost Anything for continuing to keep WHB's burners glowing (or on the hob, as she might say). Haalo's Italian edition of WHB appears here for your reading pleasure. Thanks to all who shared their delicious, creative recipes this week. I know I want to load up my plate with something from everyone. Lucia of Torta di Rose is currently hosting WHB #426. Broccoli and Salmon Patties - Terry - Crumpets and Co. The Sunday-afternoon plan was to prepare Roman semolina gnocchi, but the perils of an untried recipe got the better of me. The dough, far too moist, refused to set as it cooled, rendering it recalcitrant to cutting into charming circles or squares to layer in a casserole. A quick try to save the porridge by fashioning it into quenelles meant to bob buoyantly in a pot of broth produced excellent flavor but with all the appeal of waters muddied by a fish feeding frenzy. When mush fails to take any sort of shape whatsoever, it is best to close the oven door on it and hope for the best. An hour's bake produced a golden-crusted, spoon-able pudding, denser than a soufflé but lighter than a terrine. I was not complaining. It made an excellent accompaniment to eggs fried in olive oil, balanced by a bracing arugula salad with a simple splash of red wine vinegar. I didn't get what I wanted, but I did get what I needed. When milk and olive oil are steaming and vibrant with tiny pre-boil bubbles, quickly but evenly whisk in semolina flour. It will almost immediately thicken the mixture to a loose paste. Remove from heat and whisk in contents of blender, beating vigorously to smooth any egregious lumps. Return to moderate heat, and cook for about 10 minutes, stirring constantly. The mixture will thicken more but still be fluid. Pour mixture into un-greased 8-cup, oven-proof casserole. Place on middle rack of oven and bake for 30 minutes. Open oven door and slide rack out enough to carefully cover casserole with remaining 1/2 cup Parmesan. Bake for an additional 30 minutes. Serve immediately, very hot from oven. 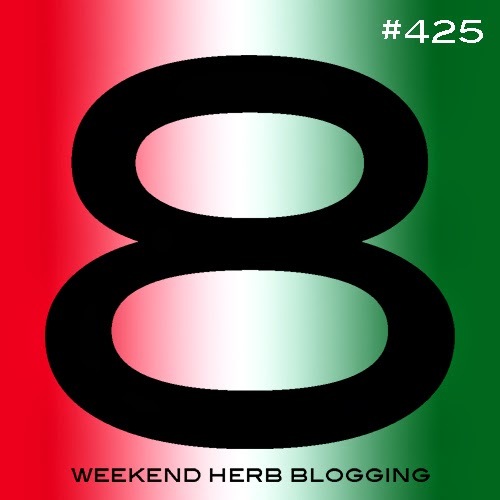 This is my contribution to Haalo's Weekend Herb Blogging #425 which I am hosting in English this week. Thanks to everyone who joined in. I will have the round-up online early afternoon tomorrow, Monday, March 23, New York time. Lucia of Torta di Rose will be hosting next week's WHB #426. Welcome to Black and White Wednesday, Cinzia of Cindystar's weekly gallery of food photos for those who enjoy the unique visual discoveries of textures, highlights, and shadows when we put the brakes on the color wheel. Thanks to Ci for her gracious administration of this long-running event, and to all those who have joined in with their special work. If you would like to participate and/or host a future gallery, you can click on the link above for the very easy details. Deepali of Lemon in Ginger is hosting BWW #121. She is now welcoming your submissions for her gallery on Wednesday, March 19.